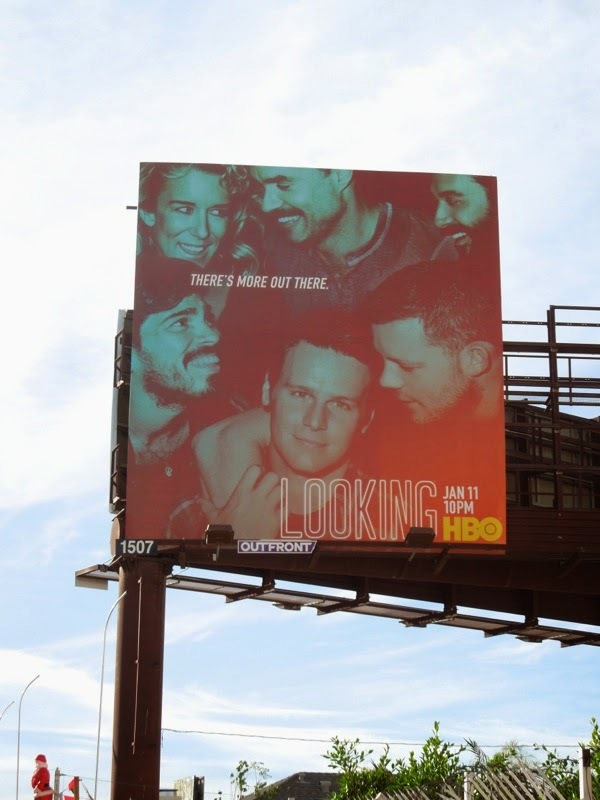 After the hookups, romances and breakups of the first season, HBO's Looking is back for a second season of dating, dancing, drugs and dirty little secrets. 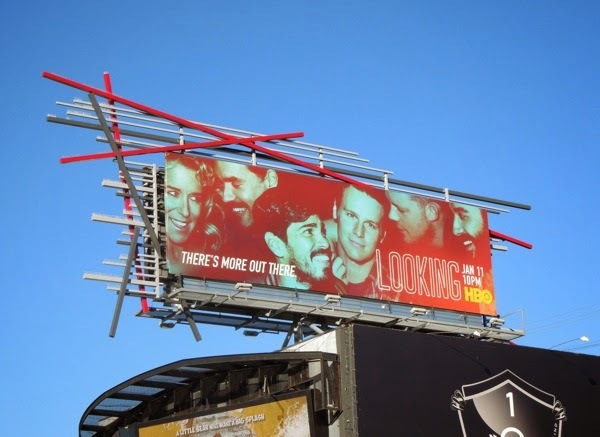 These sophomore season billboards herald 'there's more out there' for this group of gay men and their friends living in modern day San Francisco, so expect new men, new loves and more complicated relationships for 'Patrick', 'Dom', 'Agustin', 'Richie', 'Kevin' and 'Doris'. 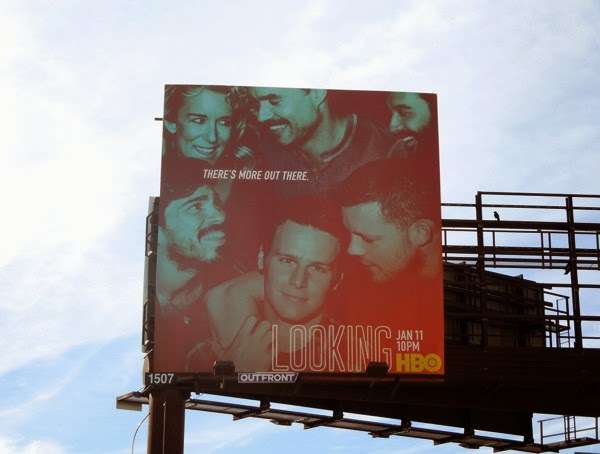 Just who will Jonathan Groff's akward 'Patrick' choose, his hunky boss 'Kevin' (played by Russell Tovey) or his Latino lover 'Richie' (Raul Castillo), will 'Dom' (Murray Bartlett) find happiness with Scott Bakula's 'Lynn' and will 'Agustin' (Frankie J. Alvarez) be able to convince us he's more than a self-absorbed waste of space? 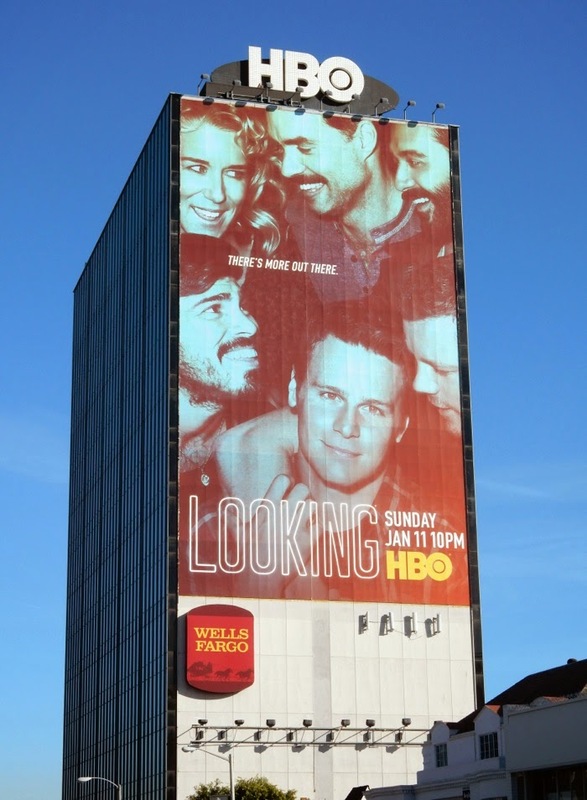 These ad creatives certainly live up to the 'Looking' theme of the series, with lots of longing stares and playful eyes. 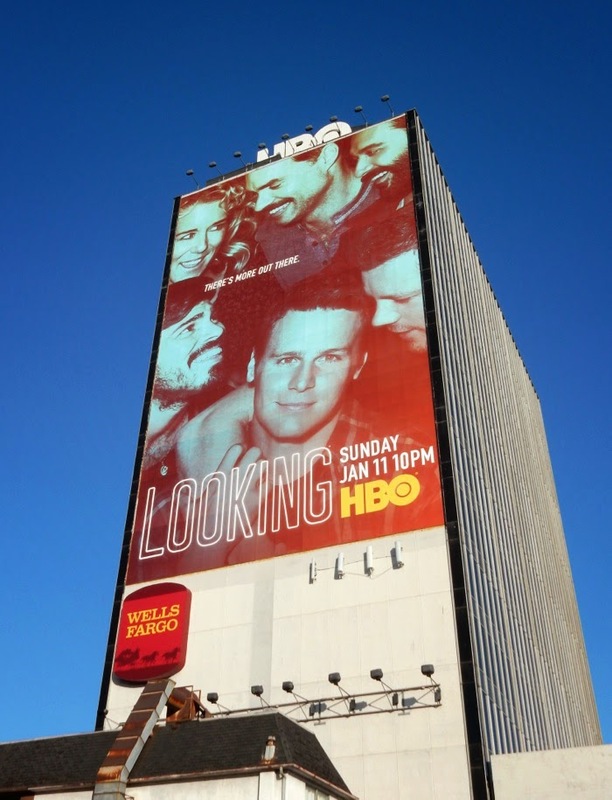 The square billboard version of the second season billboard was spied along La Brea Avenue on December 21, whilst the landscape billboards were snapped a day later along Ventura Boulevard in Studio City and West Hollywood's Sunset Strip. 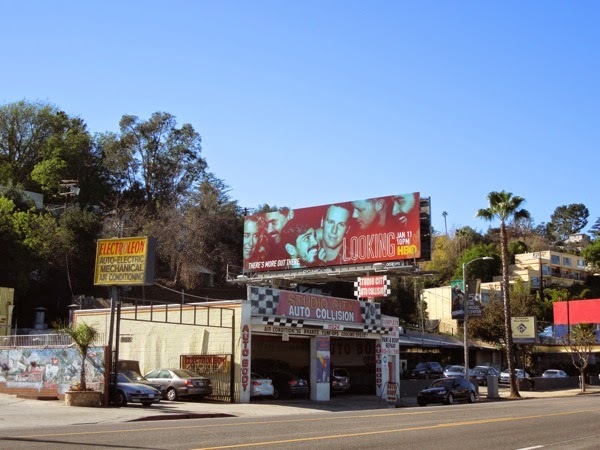 Interestingly these sophomore season billboards share a similar colour scheme to Justified's final sixth season billboards. 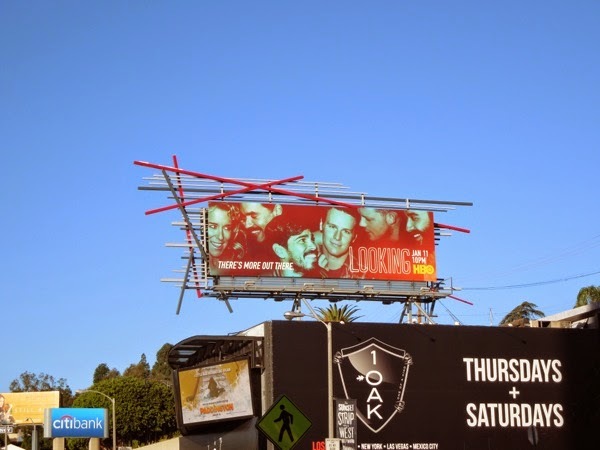 If you're a fan of the compelling drama, be sure to also check out these fabulous series premiere billboards for Looking from early last year. 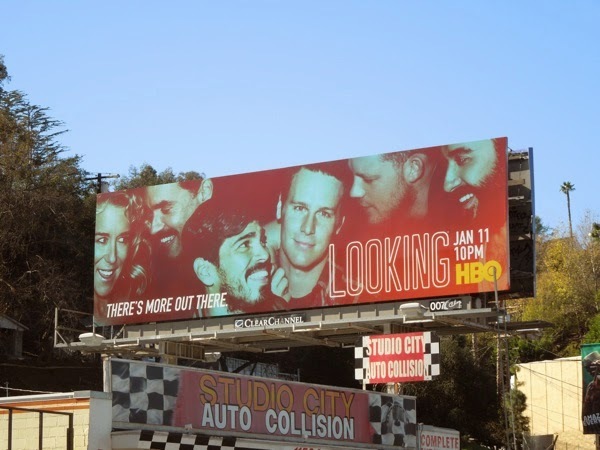 And if you haven't discovered the show yet, maybe you should take a look. 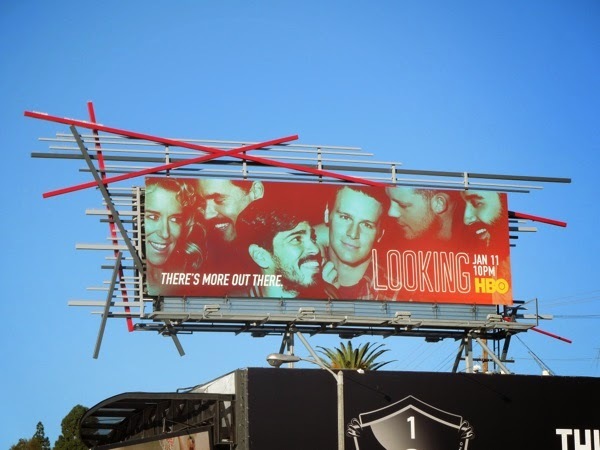 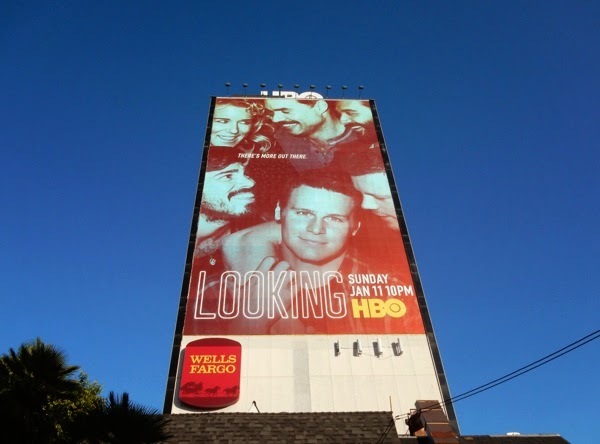 UPDATED: If the standard size billboard ads weren't enough to convince you to watch the second season of Looking, maybe this super-sized creative towering over the Sunset Strip will do the job. 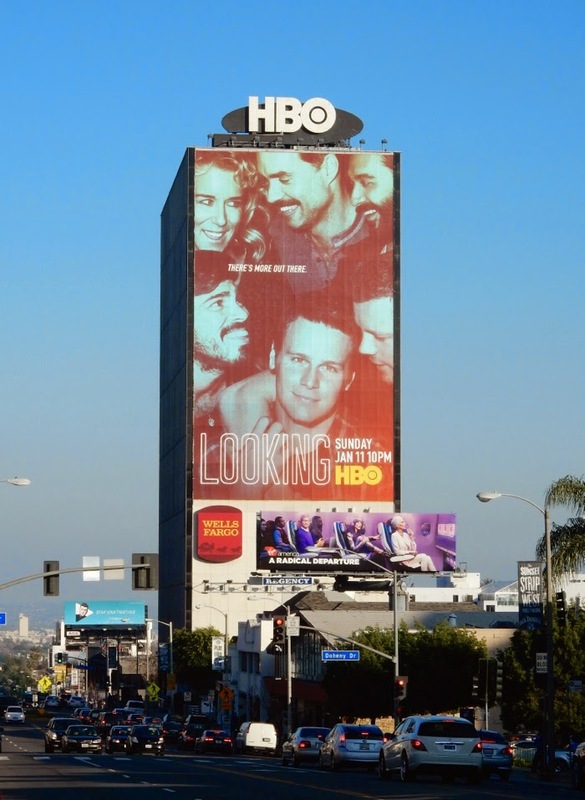 This giant HBO billboard is unmissable and was snapped eastbound along Sunset Boulevard on January 13, 2015.